Hello, my name is TheRoundChestnut. Due to the success of my Tengen Toppa Gurren Lagann review, I decided that I wanted to make more reviews to give the people who are hesitant on watching a certain series reason why it is good or bad. This time, I am conducting a review on the most famous (or infamous) or overrated (or underrated) anime ever to exist in the anime universe. This review will discuss what themes it expresses, the character which upholds its themes, and the uniqueness of this anime. I, then, will discuss why this anime is not for everyone, and shall give some suggestions on if this is anime is right for you. I will be discussing more of its story rather than its animation and music, etc. The reason why this anime is beloved for what it is is the amount of depth between each and every character, whether that leads into romance or even feuds within their families. The story is centered around Okazaki Tomoya, a delinquent who is wandering through his final high school years and constantly aggravated on the dullness of his own life. The reason why the premise of the beginning is important is because the viewers realize that the main character is at his grey point (the lowest point) of his life and sets up a story of change. This is already more hooking than most romance animes out there, because the viewers are able to experience the change of Tomoya from the lowest point of his life and eventually to his peak. The characters that are introduced through out the story are represented in Tomoya's expansion of his relationships with other people. His build of relationships becomes important throughout both seasons because they allow Tomoya to feel "alive" rather than living "dully" without any relationships. (Kinda pointing fun at those people who do actually live those kind of lives). The writers clearly show how a person can change through the interactions of people and how they can grow upon those relationships by merely being with them. Another theme that is present throughout the series is the ties between sacrifice/loss and redemption. (I'm not going to say anything specific here because if I do then it's super spoilers). The characters all experience these ties at least once in the series. Not only does this provide character development, but it also allows the viewers to relate it to their own lives and surroundings. 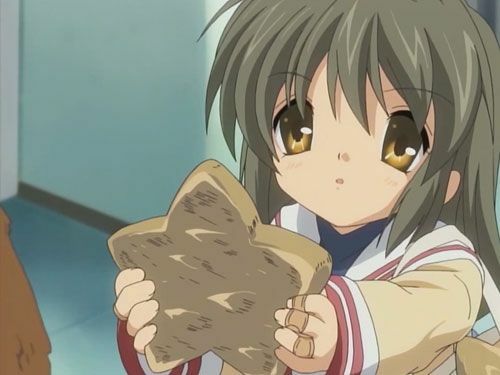 Clannad emphasizes on this theme because it allows the viewers to sympathize with the characters and their hardships. This theme centralizes the entire series as a means to convey the importance of emotions and sympathy and loss. Imagine losing a relative or as little as your favorite toy from (idk) when you were 8. Now imagine losing them. To others it may seem nothing or out of pity to say sorry, but inside it is different. It's a heavy lump of disparity for that loss. Clannad uses that as a mean to tell its story and the different backgrounds each character faces. This is why Clannad is powerful in conveying its story, and thus leading to people loving it so much. Animation wise for a 2007 - 2009 anime, this is really a spectacular anime to watch visually. The characters are fluid and well designed, scenery is real, and most of all the world and atmosphere feel alive. Music is very fitting for what ever scene there is. If there is a scene of lively talking, then the music is lively as well. Same goes for when the atmosphere is heavy, music is heavy and dramatic. I love the OST always gives me the chills for how memorable and nostalgic it is. (https://www.youtube.com/watch?v=5KMzDVf2Bx4 - probably the best). But, as I said in the beginning of this review, this anime is not meant for everyone. Here I will be discussing the common problems/refutes people make when complaining about this anime, and I will exploit them for being stupid comments. "It's too boring." - People who usually say this are people who watched Clannad thinking its like Toradora or SAO, with a bunch of action or drama that drives the story. Clannad isn't like those two. 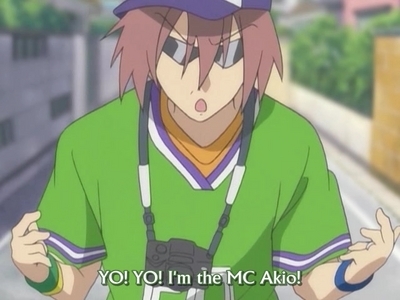 It immerses the viewers in the perspective of Tomoya. 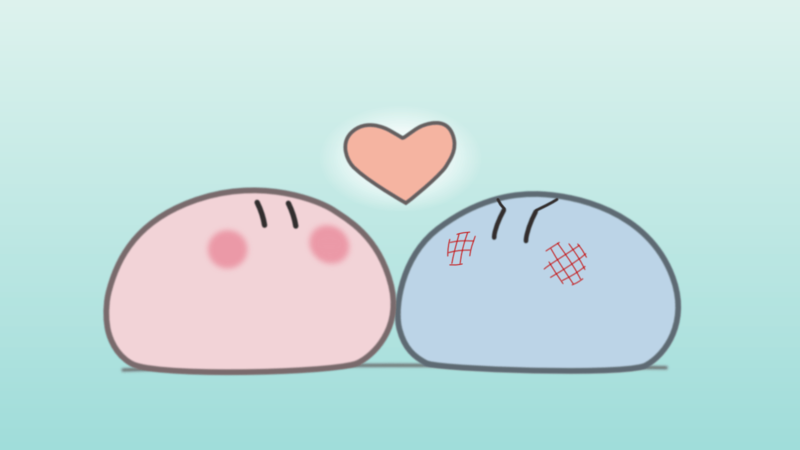 Clannad is a Slice of Life, not a dramatic romance. "It's way too slow" - This I can kind of understand this. The first season goes around introducing each character with their own arc, so when it does get to the final episode of the first season, the viewers feel drawn out. But like I said earlier, this is a Slice of Life that draws the viewers and immerses them in their world. And the only way the characters can come off meaning is by giving them their own arcs. So in the end, it's not wasted episodes. "Where is the sad part?" - This is something I have major concerns with. If everybody came to watch the sad part and the sad part only, then this entire first season didn't need to exist. The whole entire reason why the sad part is sad (somewhere in the second season) is because the entire show (first and second season) builds up to it. And the reason why it's so heavy and impactful is because it happens to the characters that we watched up to this whole time. So if you're watching Clannad just for the sad part, either stop watching because you're not going to feel sad, or take a step back and enjoy every part of it. "It's overrated and hyped up so much." - Well, there's a reason why it's so hyped up and it is because of the overflowing emotion that are unexplainable being presented to the viewers. Saying that it's overrated is simply an excuse for you, either not understanding why it's the way that it is or you're forcefully and ignorantly refusing to acknowledge its being. "Where is the romance" - This comment is said less than the rest, but is still said nonetheless. Either you haven't ever experienced this kind of romance before, or you're just plain dense. The romance that Clannad expresses is super intimate romance (between characters I can't really give out). It's not like Toradora, where they have that kissing scene, or SAO where they live with each other and hold hands and what not. This is emotional romance, so please don't bash it for what it is just because it doesn't fit your romantic needs. Clannad is highly complex for its simple genre simply because it goes far beyond what every other romance out there lack. They all lack intimacy among its characters and also the viewers. The viewers are the ones who experience every part of the characterization, romantic build up, and the unexplainable emotion that is Clannad. If there was one word to explain Clannad, it would be "Clannad." Simply everyone who actually took the time to understand it actually know the true meaning of Clannad. That's why I included love Clannad. This is filled with emotion and philosophy and intimacy, that writing this review makes me want to see the entire series all over again. And that, is true intimacy.